Coronet, an imprint of Hodder & Stoughton, is delighted to announce the acquisition of a major new project – the autobiography of music legend Brian Wilson. Coronet’s Publisher Mark Booth acquired UK and Commonwealth rights (excluding Canada) from Jonathan Conway, on behalf of The Agency Group, after a major pre-emptive offer. 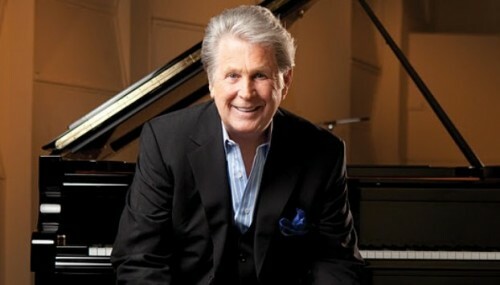 As the chief songwriter and producer of The Beach Boys, Brian Wilson has been making music for over fifty years and during that time he has recorded some of the most iconic songs in American rock. Inducted into the Rock & Roll Hall of Fame in 1988 and the recipient of the Kennedy Center Honor in 2007, Wilson most recently recorded the critically acclaimed That’s Why God Made the Radio with The Beach Boys and joined the group for their worldwide 50th anniversary tour in 2012. Pet Sounds, Wilson’s masterwork from 1966, was named the #2 best album in rock history by Rolling Stone and this year he received his second Grammy Award for Best Historical Album for The SMiLE Sessions. In his memoir, Wilson, who will be working with Rolling Stone and Men’s Journal editor Jason Fine, will describe for the first time the epic highs and lows of his life – from his tumultuous relationship with his father, the loss of his mother and brothers, his fears about live performance, the struggles he faced to lead The Beach Boys away from surf music into groundbreaking, experimental terrain, to his remarkable personal and professional comeback from drug addiction and mental illness with the support of his second wife Melinda. In this memoir Wilson will share a new level of emotional honesty never before expressed in earlier books about him.